Individual Images for easy upload. 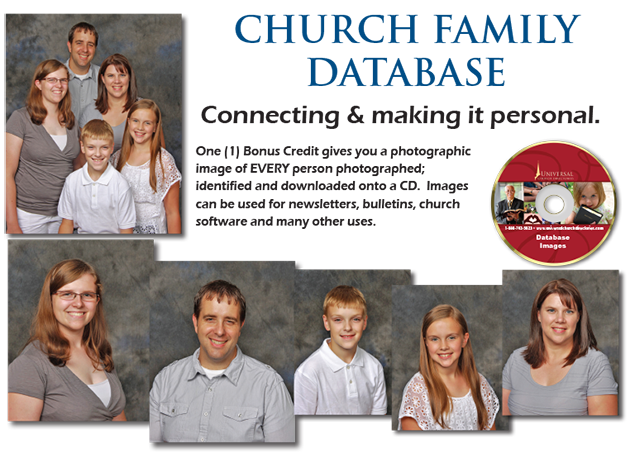 Every individual from your church directory session will be photographed. You can then easily download them into your Church Management Software Program. This gives your members and church administrators not only the ability to associate a face with a name but personalize each image with unique information such as birthdays, hobbies, talents, and significant milestones in the lives of all of your members. Connecting names with faces along with a unique profile, begins the process of truly building valued relationships. Ask your church consultant or contact us today for more information!